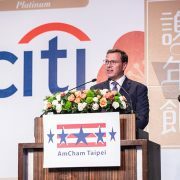 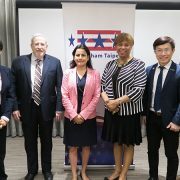 Representative Brenda Lawrence (D-MI) and Representative Nanette Barragan (D-CA) called at the AmCham Taipei office on May 9 during their three-day stay in Taiwan. 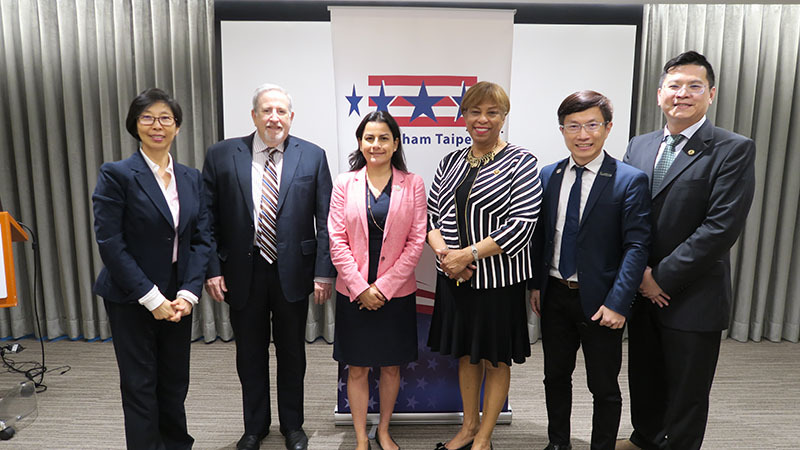 Accompanied by Congresswoman Lawrence’s legislative aide Alex Huang, a Taiwanese-American, they met with the Chamber’s Senior Director Don Shapiro, Senior Director for Government & Public Affairs Amy Chang, and Government & Public Affairs Manager Erica Lai. 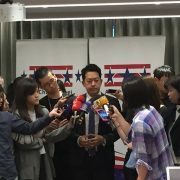 The group was joined by two representatives from Herbalife Nutrition, whose headquarters in the Los Angeles area is near Congresswoman Lawrence’s district: Taiwan General Manager Ceasar Chen and Senior Manager for Regulatory, Government & Industry Affairs Alex Lin. 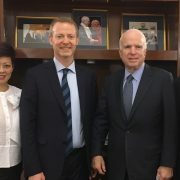 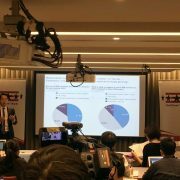 Representative Lawrence explained that the main purpose of the trip was to make up for her inability to come last year for the inauguration of President Tsai Ing-wen and Vice President Chen Chien-jen. 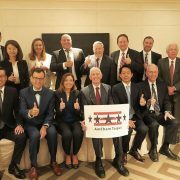 But she and Representative Barragan, whose district is in Detroit, were also looking for potential business opportunities in Taiwan for companies in their districts. 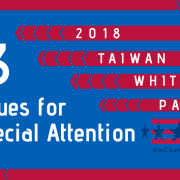 As skilled manpower training and port operations are among their particular interests, their itinerary included Taiwan’s occupational training center and Kaohsiung Harbor. 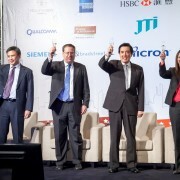 From left to right: Amy Chang, Chamber’s Senior Director for Government & Public Affairs; Don Shapiro, Chamber’s Senior Director; Representative Nanette Barragan (D-CA); Representative Brenda Lawrence (D-MI); Caesar Chen, General Manager, Herbalife Taiwan Inc.; Alex Lin, Senior Manager of Worldwide Regulatory, Government, & Industry Affairs at Herbalife Taiwan Inc.